First of all, why should you even care about maximizing client signups? TechnologyAdvice found that 82% of consumers are more likely to shop at a business that offers a rewards program. On top of that, you have their info to continue to market to them and bring them back in, and they can respond directly with feedback. Opening up this two-way line of communication significantly improves the customer experience which translates to happier, loyal customers. Dunkin’ Donuts gives free drinks for birthdays and every $40 spent. Let’s start with the reason why a customer should join the program. The best way to collect a client’s info is to offer them something that they want, right then and there. Free small items or a dollar discount are the best options – the key is to make it worthwhile. Ask yourself, would you sign up for that incentive? Unsurprisingly, most people report that they join rewards programs to save money or receive discounts. You’ll want to ensure that the rewards are enticing and that the first reward is easy to reach if you don’t have a welcome bonus. A free birthday gift or a shot at an instant prize works well too! 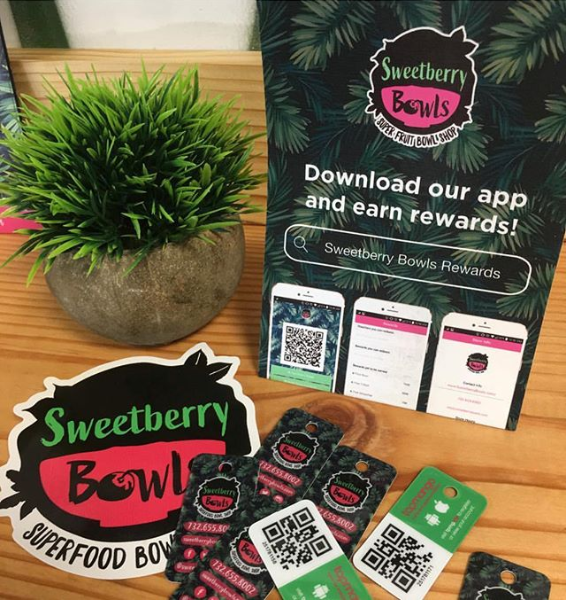 Sweetberry Bowls allows customers to sign up in their rewards app. Now that you’ve figured out what you’re offering for signup, you need to know how customers are going to sign up. Here’s the best advice: Keep It Simple Stupid. Don’t confuse people – make it incredibly easy to join. Allow customers to sign up through text or have staff enter their info into a computer. Take it to the next level and use software that allows customers to register through your own mobile app or tablet app. Studies found that 59% of customers are more likely to join a rewards program with a mobile app! Whatever you choose, don’t wait for the customer to sign up after they leave your store. Make sure they provide their info right at the register, otherwise they may never do it at all. Name your rewards program and give it a distinguished look. The signup process is in place and it’s finally time to tell your customers about it. Where do you start? Take some time to think about the branding, colors, and language that will be used when promoting the program. You’ve heard of catchy programs like Air Miles, Sephora’s Beauty Insider, or Ulta’s Ultamate Member. This consistent branding helps customers recognize your business’s rewards and differentiate it from the rest. Free design tools like Canva and Piktochart do the heavy lifting for you. 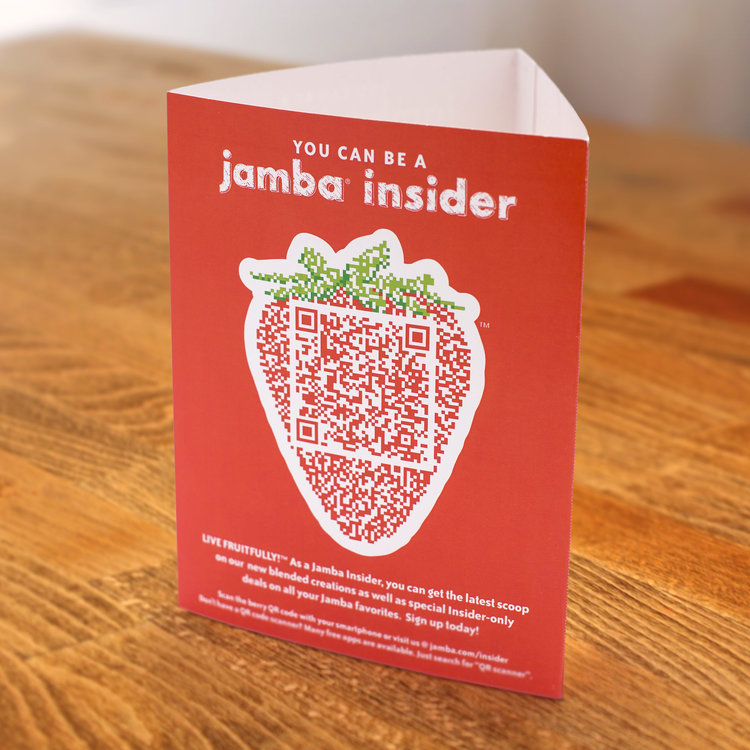 Jamba Juice advertises their rewards right where the customers sip smoothies. Get the word out! Share your promo graphics on your website, social media, email newsletters, and deck out your store. You can hang up printed posters, table tents, or banners, and give out flyers or brochures. Consider adding a section to your site that overviews the program perks. Remember to include a Call to Action to prompt customers to sign up, like linking a sign-up page or offering a “text to sign up” keyword. Staff should get every customer excited about the loyalty program. Staff can have the greatest impact on whether or not people will join your program. It’s worth scripting the pitch to ensure that every team member tells every customer about their benefits. The chat could be as simple as, “Do you have any rewards to redeem today?”. 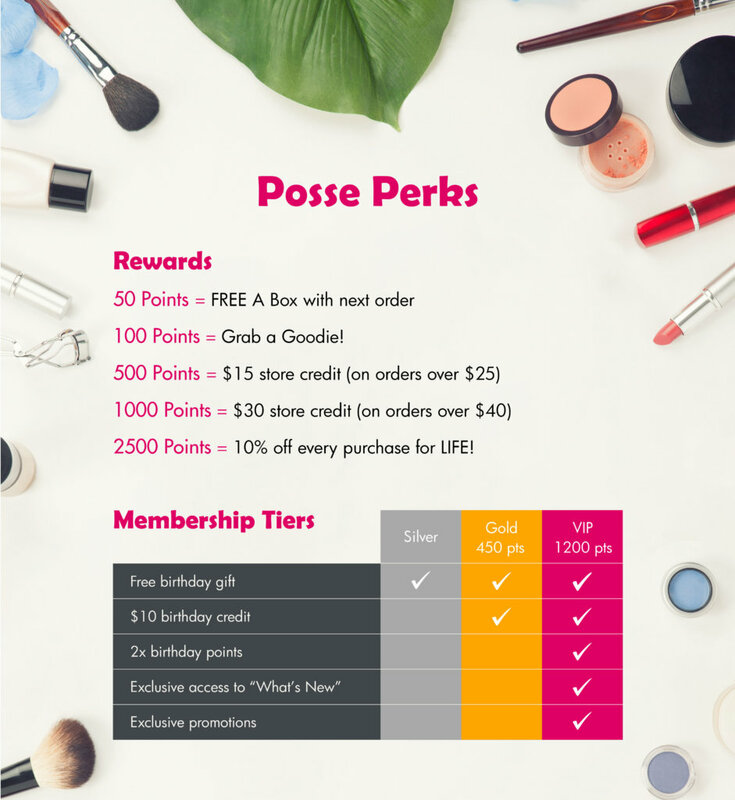 Educate your crew about how customers sign up, what they get for signing up, and other perks like reward levels and the birthday gift. Consider hosting a friendly competition to see who can register the most customers. Even if you don’t have the resources for professional ads, having your staff hype up the program will improve usage dramatically. Check out this AllBusiness post for more ideas on how to sell your loyalty program to your customers. Already ahead of the game and have an established community of loyal customers? Find out how to leverage your existing clients for growth here. Want more info on how a customized loyalty program can elevate your business? Get in touch!